Crafting generic items is generally done at a loss. Currently using 4359 silver worth of pine planks to make a T4 bow will give you a bow that sells for about 3000 silver. 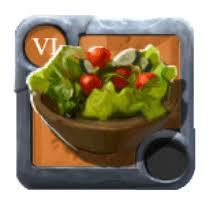 You can improve crafting speed and quality by using food. This is a huge buff and you should always do it. Bean Salad: +33% speed and quality for 5 minutes. Turnip Salad: +66% speed and quality for 5 minutes. Potato Salad: +100% speed and quality for 5 minutes. The higher a crafter's skills the more quality and focus cost efficiency they gain. Each item has 2 skills that boost these attributes, the two furthest out on its spoke of the Destiny Wheel. 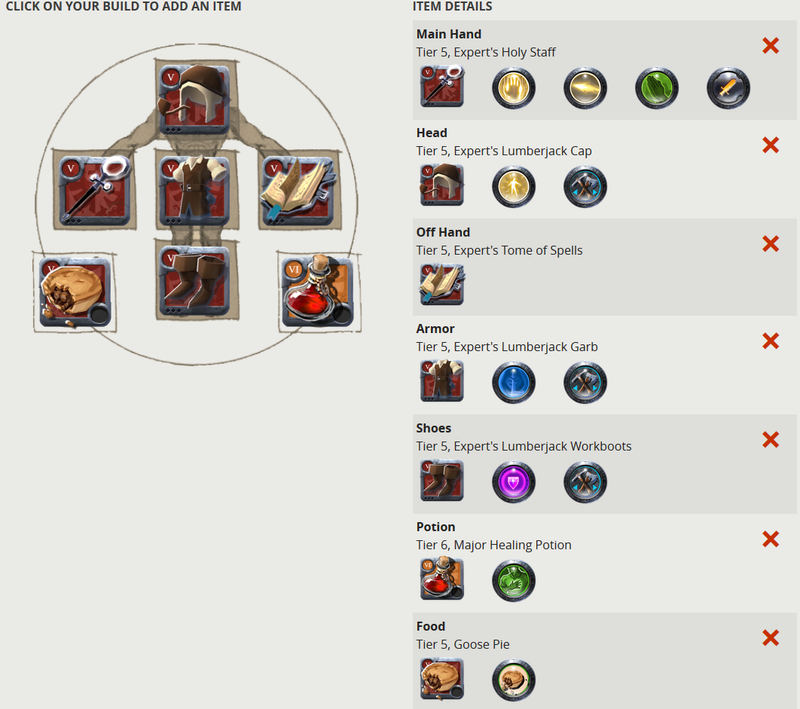 +0.3 bonus focus cost efficiency and +0.75 increase in quality to all the items it shows in its window. +0.3 bonus focus cost efficiency and +0.75 increase in quality to all the items in its weapon group. +2.5 bonus focus cost efficiency and +6 increase in quality to the specific weapon. The artifacts specialisation applies to all artifacts of the weapon group. Callduron is specialising in making Warbows. 16/100 Bow Crafter gives +4.2 bonus cost efficiency and +12 increase in quality when crafting all bows. 9/100 Warbow Crafting Specialist gives +3.3 bonus focus cost efficiency and +6.75 increase in quality while crafting all bows. It also gives +22.5 bonus focus cost efficiency and +54 increase in quality when crafting warbows. The other bow specialisms are at 0 so I get no bonuses from them. Maximum possible skill bonuses are + 400 focus cost efficiency and +975 increase in quality. Max resource return: 48% (crafting in the black zone with focus). Crafting quality: up to +975 from skills, +100% from food (I don't know how those stack). Using focus also gives a quality bonus. Bonus focus cost efficiency: up to +400 from skills. 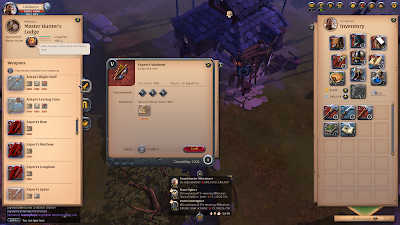 The life of a high level crafter then will be a matter of passively collecting your 10k focus per day, then using it to make highly lucrative x.3 or x.2 items which will bring a small profit if you get a low quality or make mad bank if the RNG gods give you Outstanding or Masterpiece quality. Actually you can probably find items that you make small profits on even without focus. - it's a big waste to do anything else with your focus. - it's a big waste to do anything else with your learning points. Playing on with this very addictive MMO. I'm now Tier 5 in my gear which while nothing exciting is solidly mid-pack. I've realised that it's all too easy to suffer excessive financial setback through mismanagement of gear. In fact I just found out the hard way. I joined a ZvZ group which is a Zerg v Zerg group for some open world pvp. In ZvZ gear doesn't matter that much. If there are 10 of you and 3 of them you win, if there are 3 of you (because you got separated or over-enthusiastic) against 10 of them you lose. Gear will tip an even fight but that's a relatively unusual circumstance. When I died I had a moderately expensive mount on me (a T5 Armoured Warhorse). Just silly not to swap it out. The zerg moves rather slower than the speed of its slowest member and as a healer I'm not out flanking in exposed positions. I should just stick with the group on a cheap horse as all fighting will be done on foot. Anyway not a bank-breaker and lesson learned. So it's about gearing on the cheap. For me that's this build. Add t3 or t4 riding horse and you're fine for supporting a zvz. Possilby a gathering tool if you think you're likely to make it home with more than the value of the tool. It's probably not true for tanks. If you're going to charge boldly in you probably need decent survivability from gear quality. I don't think the same is true of gathering unless you're consciously going into dangerous zones. I do most of my gathering in the black zones just outside our friendly town. For me to get ganked they would have to manage to sneak multiple people between me and the safe haven of our town. I have multiple escapes on the gear plus it's really hard to close quickly on someone in the very cluttered forest terrain. Horse is a Tier 5 Armoured Warhorse. 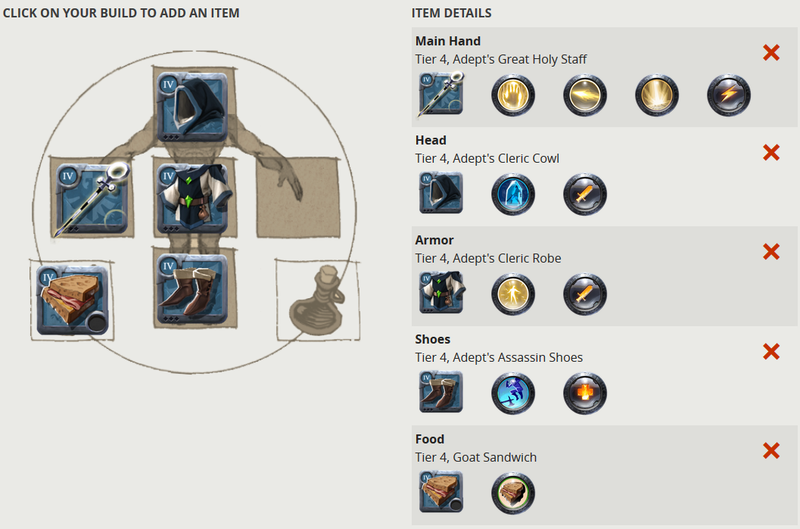 Here's my expedition/fame farming gear. The boots are a little behind the other armour types as I realised late that I wanted to wear Assassin's boots at end game so they're in my fame-grinding set. One final point about gear in relation to consumables. A lot of people skip food and potions. This is an error of analysis. If you are playing in a context that is quite likely to kill you then it's all consumable. There's no point cheaping out on consumables when you can just use cheap ones as everything is just going to be lost sooner or later anyway. When you die every half an hour, a hat is just a consumable that gives you some stats and the Ice Block ability for 30 mins. Albion Online launched about a month ago, the latest in a long line of games aiming to be a "fantasy Eve." In Albion's case they seem to have struck closer to the mark than some of the previous attempts. There's a single shard server with a very interesting economy. There's a relationship between pvp, pve and crafting/gathering that's dynamic and engaging. We even have a Goon blob guild that is offending the elite pvpers. If you want to know more about the basics then there's a ton of good beginner's guides on youtube. I'm going to talk about my heavily sub-optimal start to the game. Optimisation in this game is straightforward. Pick a thing, do it over and over. Dull but efficient. I'm not wired that way so I've experimented with all kinds of things. I started as a Fire Mage, then turned into a Holy Priest simply by equipping a new staff. I can go back to being a Fire Mage at any time by equipping that weapon which is need. Healing is fun in pvp and efficient in doing the game's pickup dungeons. I wait 30 seconds for a group as healer compared to about 15-20 minutes if I do one as a fire mage. I've also done lots of gathering with him. I built a private island, then decided I'd put it in the wrong place and had to demolish it and start over. I'd definitely advise waiting a bit on the island until you're clear what you will be doing in the game. I made a tank alt and a rogue alt. The classes are really fun and if you want to check out a different playstyle you just change your weapon. Silver is incredibly impactful in the game and you can make alot of progress if you're wealthy. The end game that I'm working towards is 5v5 pvp content. 5v5 fights are used to contest territory and the game world is a huge Risk map of conquerable zones. There are also special dungeons called Hellgates where you run a normal dungeon with mobs and bosses but the kicker is there's another 5 man party in there. 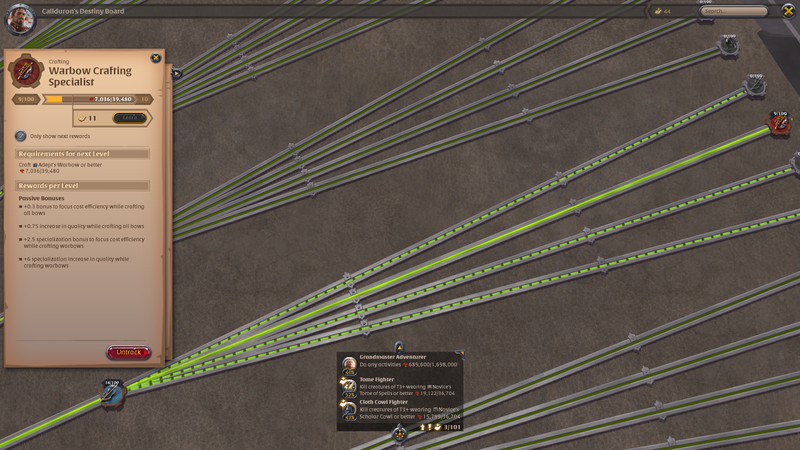 So far it's exceptionally fun, the only notable downside being a rather large amount of DDOS related downtime. Highly recommended and if you're an Eve player you may meet a lot of familiar names here. Here's a video of some high level players having a laugh in a Hellgate. In Magic: The Gathering there's a concept of recognising when you're not the beat-down. You may have constructed your deck to get a fast start with plenty of cheap creatures aiming to finish an opponent quickly. However if your opponent has a similar deck and gets a better start you need to recognise that your usual aggressive tactics are wrong for this match and play defensively. You need to recognise you're not the beat-down. Villore Accords met two close-range blaster set-ups in this tournament. We needed to kite, to minimise the time spent doing damage by the enemy blaster boats. We didn't get this. Even, agonisingly, a situation developed in our second match where a whole bunch of enemy Brutixes etc were chasing but not catching a ship that was about 30km off them not doing any damage. All the pilot had to do was nothing - let his ship coast out towards the edge of the arena dragging the defanged enemy team behind him. Instead he decided to turn around and fly back into the happy wolfpack. Now the key to this I think is practice. We practiced once or twice a week and our practices were not efficient in terms of matches played per time spent. I'd guess we were about 1.5 matches per hour which is not a lot when a match lasts at most ten minutes. People were also getting tilted too easily in practices. Let's now look at some positives. The practices and tournament games was very useful experience and we saw some sigificant improvement in some players. I'd like to mention WubtheCook (our logi) and Malmar (frigate pilot) particularly. Ship fitting was good (Ashley being a supremely gifted pyfa wizard) and doctrine theorycrafting was fine. It's the understanding of how the enemy's doctrine works that we didn't get and that's a very achievable goal for next year. It was a ton of fun and I was very glad to be allowed to participate after I fell out with my former alliance just days before the cut-off.